Below is the text of a Socialist Party leaflet distributed at a NIPSA rally against paramilitarism. Those behind the recent bombing and security alerts in Derry offer nothing but a return to the futile conflict of the past. Their actions put lives at risk and only serve to whip up sectarian tensions in society and potentially legitimise attacks on democratic rights. These groups are opposed by the vast majority of people, Protestant, Catholic and neither. 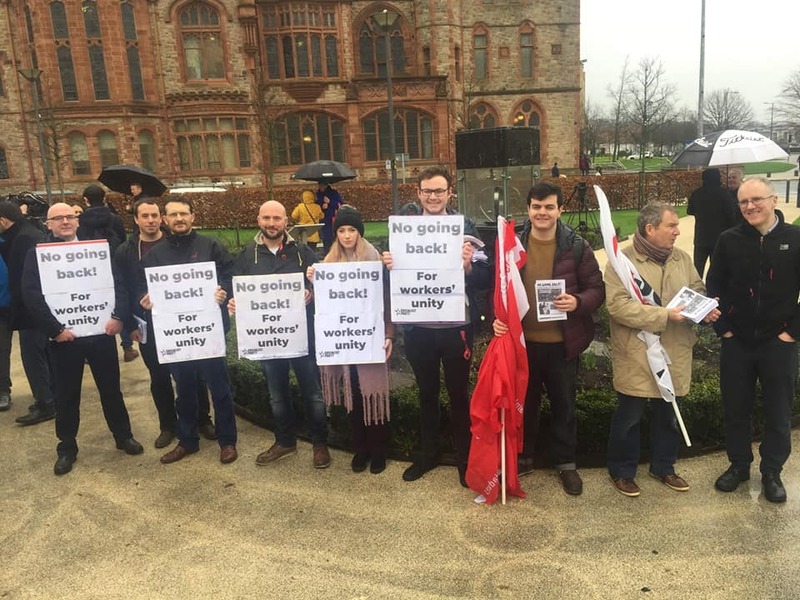 The Socialist Party congratulates NIPSA for calling a rally to give voice to this opposition. The trade union movement – representing workers from all backgrounds – has a long and proud history of standing up to sectarian forces, whether Orange or Green, as well as state repression. In the past, mass protests initiated by the union movement have forced the lifting of death threats and contributed to the calling of ceasefires. If paramilitary groups attempt to step up their campaigns, the workers’ movement must be ready to respond. Twenty-one years after the Good Friday Agreement and two years after the collapse of Stormont, our communities remain profoundly divided. The main parties base themselves on sectarianism and rely upon division to maintain their support bases. They were, however, happy to work together in implementing austerity which has resulted in tens of thousands of job losses, slashed welfare and left public services creaking at the seams, all while handing subsidies to big business. The sectarianism and poverty created by the main parties policies gives space for so-called dissident paramilitary groups to grow. 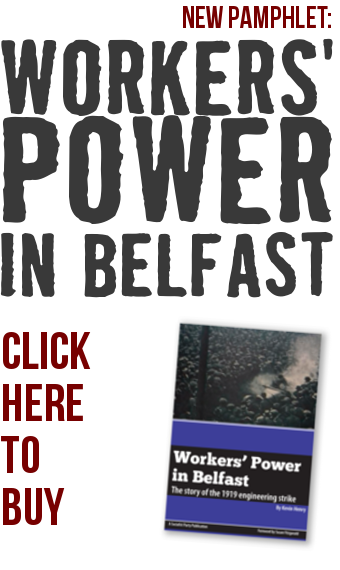 We urgently need an anti-sectarian, political voice for the working class which fights for socialist policies – opposing austerity and privatisation; demanding public ownership , investment in jobs, homes and services; standing up for LGBT+ and women’s rights; and advocating genuine compromise on the issues which divide our communities, in a spirit of solidarity and mutual respect. Trade union activists can play a crucial role in building such a party. If you agree, join the Socialist Party today!